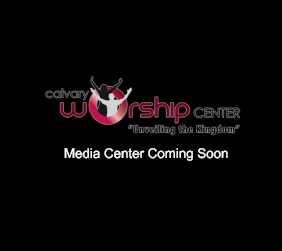 Welcome to Calvary Worship Center! Thank you so much for visiting our website. It is our heart to serve and minister to you with a spirit of excellence. As you view our site, we pray you will be blessed and enriched by what you see and read. We solicit your feedback on how we can make our site better. We are always looking to grow and give God the best that we have! When you have the time, please be our guest at our Sunday morning worship service or our engaging Bible study on Wednesday night.